With summer winding down we have a fun challenge for you! 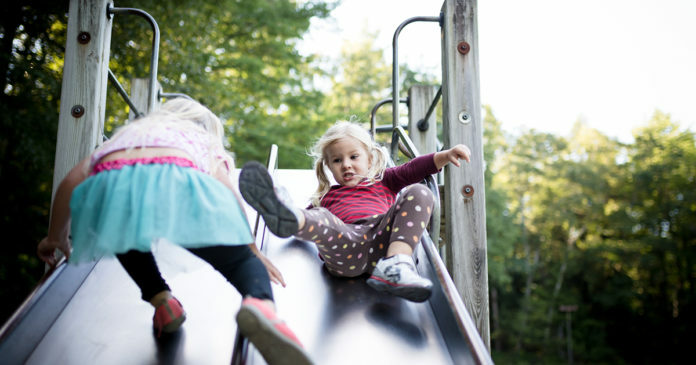 Check out these ultimate slides for your adventure kids. 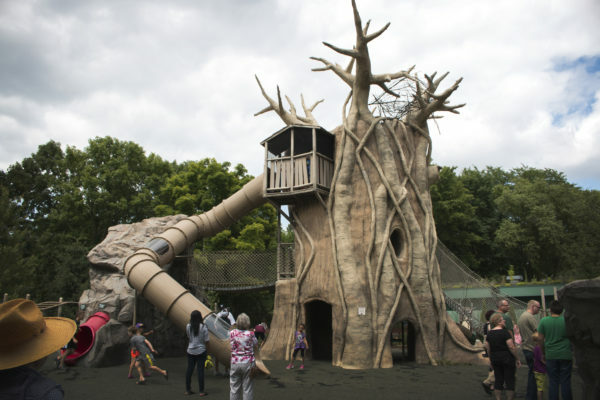 This park is unlike any others in our area. It is built into a hill and definitely for a thrill seeker. For maximum speed make sure you are sporting longer shorts or pants! 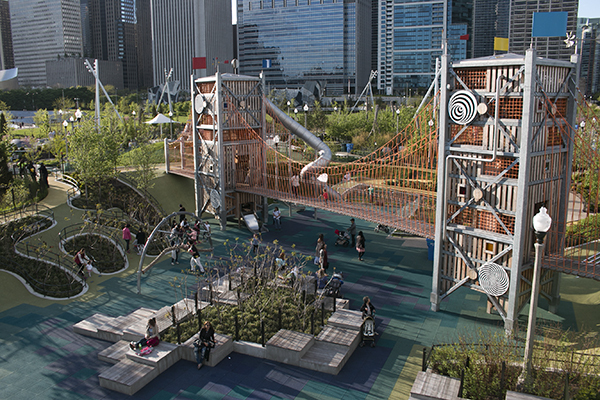 Make sure to check out the rest of the park or walk across Trestle Trail while you are here. Another fun tip about this park… the bathrooms are open year-round. 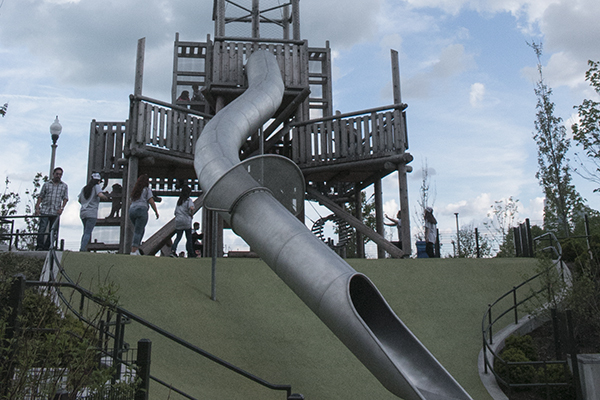 This slide has a pretty big hike to the top and is a little difficult for little ones under 3 but its pretty fun! We also like this park because it has the soft ground and we can walk along the water or visit a lighthouse. 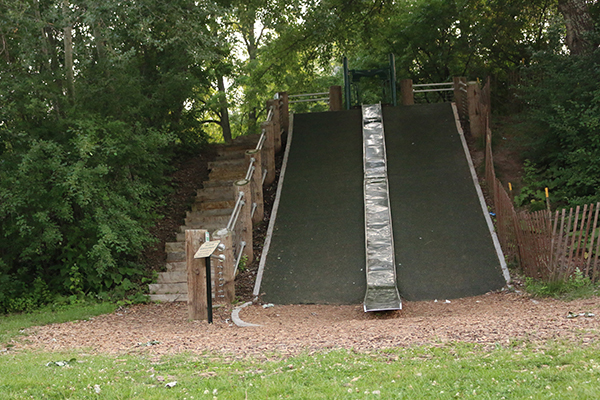 Slide down this 100 ft slide with a burlap sack. 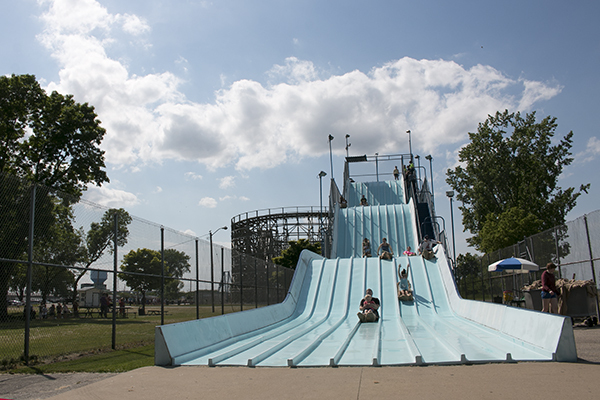 The Giant Slide at Bay Beach costs 1 ticket at 25 cents for each rider. Must be 48 in tall to ride alone. Sorry, no riders under 2 years old. Check out these 10 Reasons to Love Bay Beach. 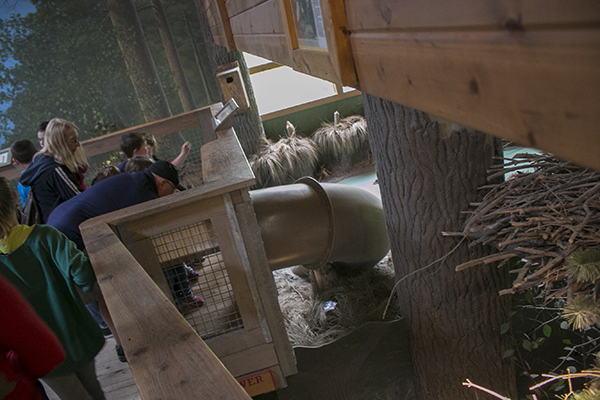 Bay Beach Wildlife Sanctuary is the perfect place to visit with fun for all ages including animals, exhibits, waterfall and more. 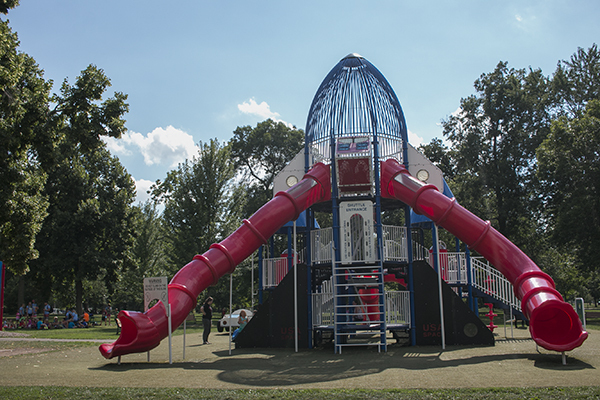 This fun slide inside is a dark (and a little scary for some) but is a family favorite. Check out these Helpful Tips for your Next Visit. One of our favorite places to visit in the fall! Meuer Farm is a family-owned working farm with 150 acres. They grow corn, soybeans and wheat, strawberries, tap maple trees for syrup and have a small herd of beef cattle. The owners, David and Leslie Meuer enjoy working the land and teaching others about farming and preservation of the land. In the fall, they are known for its corn maze that changes every year. 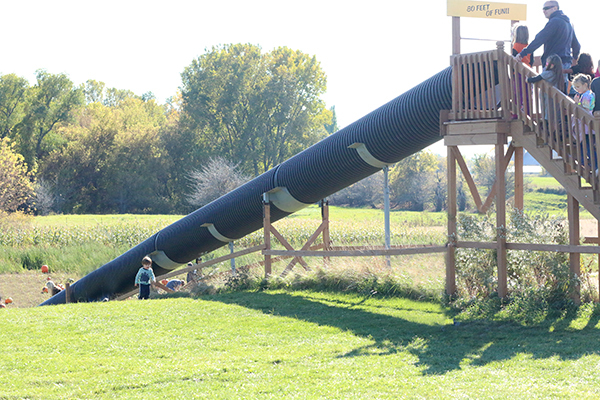 They also have a 45 minute hayride, pumpkin patch and kids activities including this 80 ft barrel slide! Learn more about this Fall roadtrip here. The Henry Vilas Zoo in Madison is one of the only FREE admission (and parking), community sponsored zoos in the country. The zoo is open daily, year-round, with the exception of a few holidays. This park was closed in the early summer for repair but is again open. Find more tips for visiting Madison here. This one is a bit of a drive but worth it! 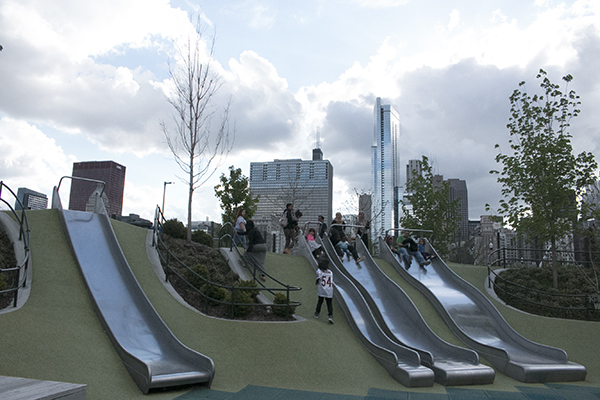 Maggie Daley Park is a 20-acre public park near Lake Michigan and adjacent to Millennial Park. 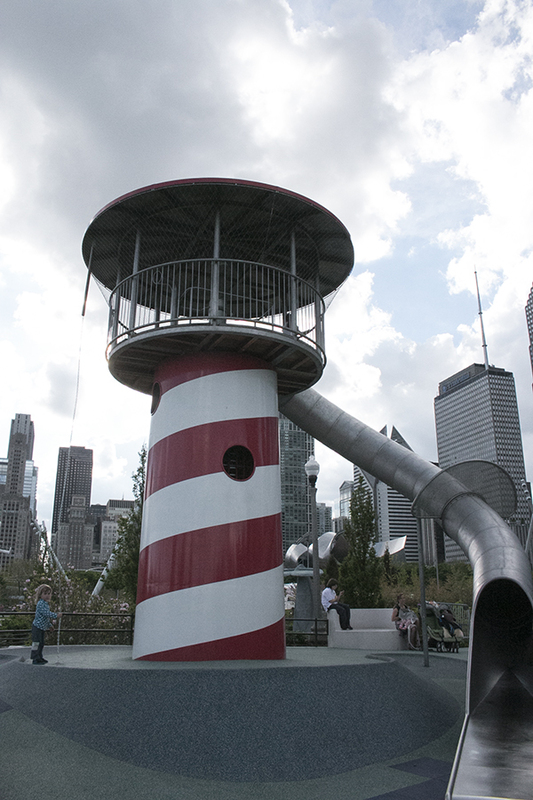 The park is FREE and open year-round daily from 6 am to 11 pm. Here are some tips if you plan a visit. This one is also a bit of a drive but was a recommendation from a GVK writer. Silppery Rock is a natural water park with a rock formation that forms a slide. Located in Chute Pond campground and accessible by a short hike across the dam. Find more here. Do you have any you would add? Comment below! 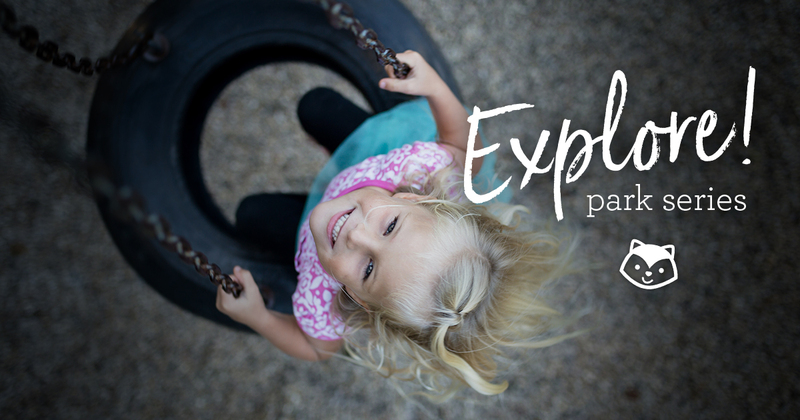 Check out our Park Guide here!